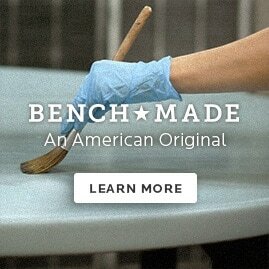 Our custom dining furniture is made for you! Enjoy a cozy meal at this Custom Round Pedestal Dining Table. This round, all-wood table is available in either a transitional or contemporary base, and ogee or straight-edge profile. Mix and match when you choose from different finishes. 36" & 44" seat up to 4, 48" seats up to 6, 54" seats up to 8. Height varies based on base style selected. Select sizes come with 18" leaf if ordering 44", 48", or 54". Get the custom look you want today!